The Innovation Centre will bring industry and higher education together in order to move forward and bring progress to the nation. The Industry 4.0 era has given rise to technological progress and data development, which paved the way for increased research in the fields of Artificial Intelligence (AI), Cloud, Internet of Things (IoT), Big Data Analytics and Data Science. According to a recent report, the launch of a new AI and Cloud Computing Innovation Centre was made possible through the collaboration between the Bandung Institute of Technology (ITB) and one of Indonesia’s four Unicorns, an online marketplace giant. The University has long been engaged in education and research related to AI and cloud, developing lectures on AI and distributed systems since the 80s. This collaboration is very much in line with the University’s goal of becoming an Entrepreneurial University. 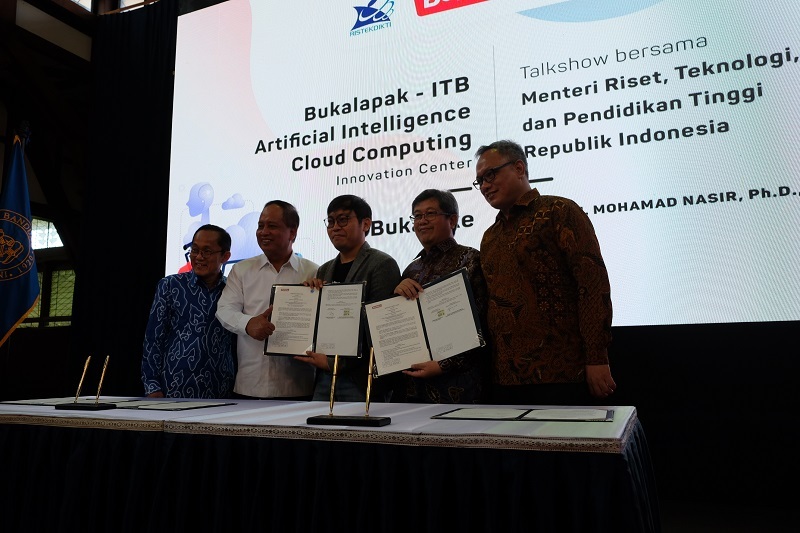 Indonesia’s Minister of Research, Technology and Higher Education was present during the official launch of the AI and Cloud Computing Innovation Centre, along with the University’s Chancellor and the CEO of the online marketplace website. The University does not only serve itself but gives importance to the interests of the nation and collaborating with industry partners, for the improvement of the IT field, is one way of doing that. Hopefully, this cooperation will have a positive impact on the nation’s development in the field of technology and entrepreneurial innovation. With the presence of the new laboratory, AI and Cloud research and development are expected to accelerate. This will pave the way for the production of new knowledge and discoveries on both topics and their intersecting fields such as data analytics and IoT. The Innovation Centre is open and can be accessed by all University academics. The University’s Chancellor explained that there are five trends in the world right now, which is in need of a lot of preparation. The five trends are democratisation of access; the growing development of digital technology for services and manufacturing; the massive mobilisation caused by technology; the increasing need for integration between industry and academe; and the creation of new jobs that were not existent before. Thus, the opening of the Innovation Centre serves as a commitment for all to bring industry and higher education together, in order to move forward and achieve progress for the nation and the state. Moreover, the CEO of the online marketplace explained that mastering AI, Cloud, IoT, Big Data Analytics and Data Science is significant to be considered an important player in Industry 4.0. As reported, technological developments have caused consumer tastes to change quickly. Businesses are therefore required to think out of the box in order to exist in a very competitive market. Innovation must play a dominant role in accommodating the continuity of the business enterprise cycle. It is very much needed right now. Thus, the University must dare to try new things that are revolutionary. And with the launch of the Innovation Centre, students are being expected to produce something innovative. Lecturers and academics should be able to provide assistance to the students as well as collaborate with industry partners in order to be innovative.